In this file photo, Mark Sanford speaks to reporters outside of Orlando's Pizza in Daniel Island, S.C., on Monday, May 6, 2013. 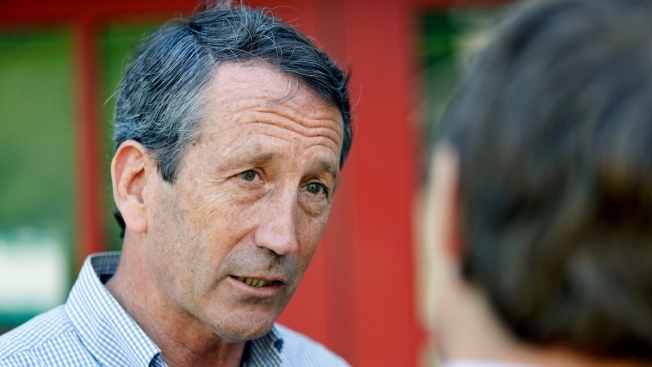 South Carolina Republican Rep. Mark Sanford, who lost his primary race this week hours after a last-minute Twitter broadside from President Donald Trump, warned his fellow GOPers on Thursday that the "question of allegiance" to Trump could damage the GOP. Sanford on Tuesday night lost to South Carolina state Rep. Katie Arrington, a political newcomer who spent much of the campaign blasting Sanford — who had never lost an election — over his lack of loyalty to Trump. "We swear an allegiance to the Constitution and we pledge allegiance to the flag and what was weird about this race that I've never experienced before in any race I've been a part of was an allegiance question where people say are you for or against the president," Sanford told MSNBC's "Morning Joe."